A true statement piece! 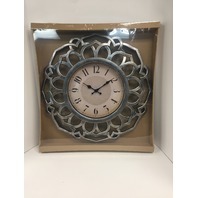 This clock will be sure to enhance any traditional home space. 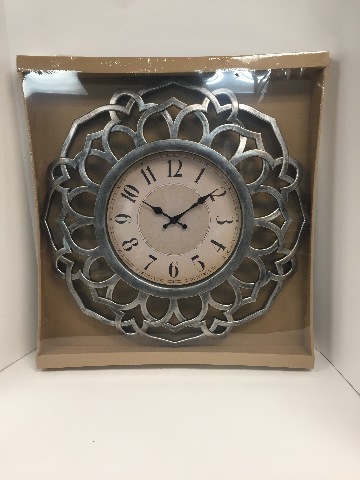 Antiqued black frame finish, it also has a raised black dial. Gold raised dial with Arabic numbers. Requires 1-AA battery (not included).